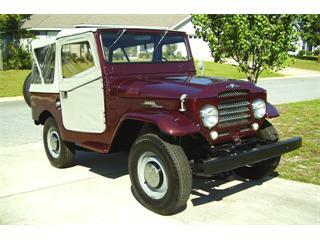 This beautifully restored FJ25 Land Cruiser was built in October 1958. (On a scale of 1-10, it is easily an 8-9, both inside and out.) Its VIN number indicates that it was possibly the 4th Land Cruiser that Toyota built. 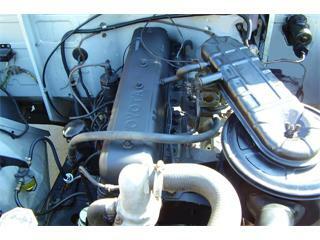 Equipped with a rebuilt standard Toyota F-engine with approximately 15k miles since the rebuild, it runs perfectly. 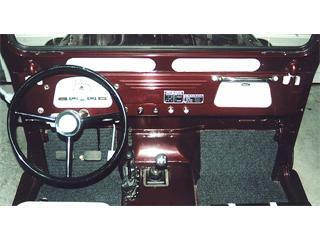 All mechanical parts are completely stock, right down to the OEM glass bowl fuel filter and original FJ25 \”elephant\” horns. 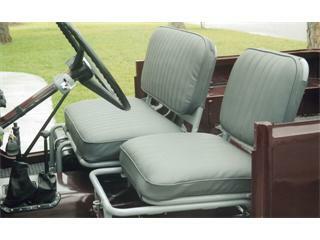 It has a relatively new (Kayline) soft-top and side doors. 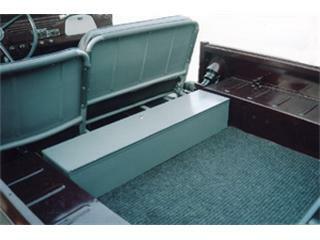 And, the interior has been completely restored back to showroom condition. 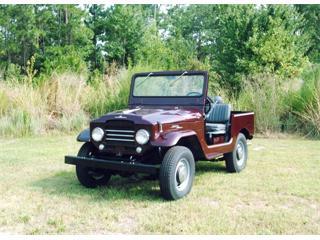 A perfect Land Cruiser for the vintage FJ collector and/or a Toyota dealership to use as a showroom \”draw\” vehicle.